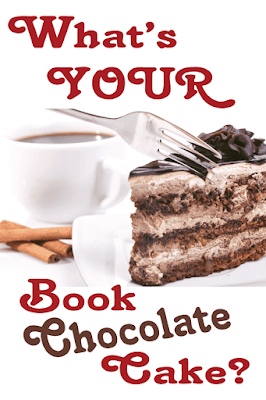 Mrs. ReaderPants: What's Your Book Chocolate Cake? What's Your Book Chocolate Cake? Who in here has little brothers or sisters? What do they eat when they are first born? Right, they drink milk. Do they love it? Yes! But eventually, they move on to rice milk. Then probably strained peas or carrots or green beans. They eat when they have to; when they are hungry. It is unlikely that a young child would eat strained green beans simply because they love the taste of it. They eat because their body needs it, because their parents offer it, because they would starve otherwise. But no one eats only vegetables forever. One special, magical day, a child gets his or her first taste of chocolate cake. Gooey, sweet, yummy chocolate cake! And he gobbles it all down and asks for more. It doesn't matter if he isn't hungry. It doesn't matter to him that cake isn't nutritious. He won't starve if he doesn't eat chocolate cake. He eats the cake because he loves it! He can't get enough! More! More! More! I know that some of you say you don't like to read. And I believe you. Some of you are still deciding if you like to read, and that's okay, too. 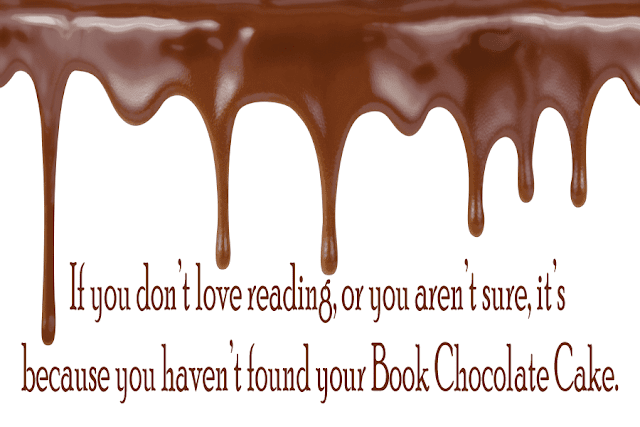 But I'm here to propose this: If you don't love reading, or if you're not sure, it's because you have not yet found your book chocolate cake. You've probably only been reading books that are strained peas and spinach: books that you have to read for school or that your parents or teachers say you "should" read. These books may be "good for you" but are probably not going to be your chocolate cake. In all the books I read for school, all the way through college, I only read one book chocolate cake: Burmese Days by George Orwell. My reading Burmese Days led me to discover George Orwell, and I loved his writing so much that I did an independent study on Orwell in my last semester of college. I read lots of other books for school, and some of them might have been a bowl of vanilla ice cream or maybe even sugar cookies, but none of them made the same impression on me that Burmese Days did. For me, Burmese Days was Book Chocolate Cake. Thankfully, I found my first Book Chocolate Cake outside my school-assigned reading, long before I discovered Burmese Days. When I was in fourth grade, I discovered The Little House on the Prairie by Laura Ingalls Wilder. I can remember sitting in the gold velvet chair in our living room and reading the ENTIRE book in one day. I just could not stop and I was so proud of myself for reading that big book! This feeling led me to read other books in Little House series, and then when I finished the series, I looked for more books like it. I was voracious for more chocolate cake! What would have happened if I had never discovered this book? Maybe I would have found a different chocolate cake book at some point. Or maybe I would have given up on it, deciding that I hated reading. Where would I be today without reading? I doubt I'd be a school librarian living in China and writing about chocolate cake on a blog devoted to reading. Don't like chocolate cake? Maybe you prefer coconut cake or Boston creme pie or peanut butter cookies. There are loads of yummy options out there, just as there are loads of yummy books to read. If you truly don't like to read, it's most likely because you're still only reading strained peas. Or, more likely, you are not reading anything because in your experience, it's all strained peas. If you are only reading for school assignments, it's no wonder that you don't see reading as a fun activity. You owe it to yourself to try to find your Book Chocolate Cake. You may try several books before you find it. It's okay if you don't find it right away; in fact, you probably won't find it with the first book you read. You're not over-the-moon for every dessert you eat, either. Some are just okay. Some are bland. Some need more sugar, or less sugar. Some don't have a great texture. Sometimes, you love sugar cookies, but this particular recipe isn't your favorite. Keep looking; you will find your chocolate cake. As your school librarian, I can help you find it. I go on from there to ask students who has already found their Book Chocolate Cake. I always have a few hands go up, and they share their Book Chocolate Cake with the class. Rick Riordan and Harry Potter are almost always mentioned. With high school students, I've also heard Nicola Yoon's Everything, Everything and Rainbow Rowell's Eleanor & Park a couple of times recently. 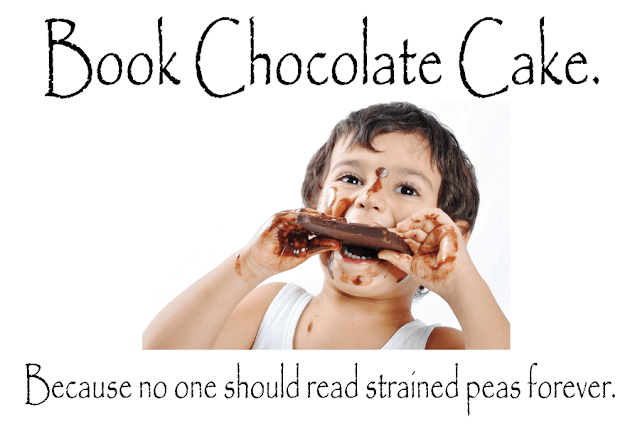 We are planning our Literacy Month this November, and I am planning to do some chocolate cake-related activities. Maybe a huge piece of chocolate cake on the wall (or papier-mache a 3-D chocolate cake? ), and have students write their chocolate cake book titles on it. I've also been thinking about having a Book Chocolate Cake Day, where I hand out small, individually-wrapped chocolate cakes (like Little Debbies) with book checkouts. I'm at a private school that will allow this; if your school won't allow you to hand out food, you could hand out chocolate cake-scented bookmarks instead. 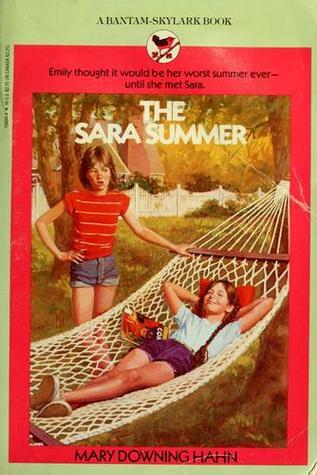 I read this in 6th grade (yep!). I remember being so proud that I had read such a huge book for adults, even though it scared the absolute crap out of me! Pet Sematary led me to read loads of other Stephen King books throughout my life. I bet I've read 20 or more books by Stephen King, and I just put King's newest title Sleeping Beauties, co-written with his son, on-hold on my USA OverDrive account. I've read more books by Stephen King than any other author, and I still list The Stand as one of my Top 5 all-time favorites. I went through a phase of "fat girl" books in fifth and sixth grade. I still love reading "fat girl" books like Skinny, Dumplin, and The DUFF. I bought this book on a Scholastic book club flyer for summer reading at the end of fifth grade. I got a new kitten while I was reading this book that summer, and I named my kitten Simon after the kitten in the story. This is another series I discovered in middle school. My two best friends and I zipped through these books in no time. Unofficially, my very first book club! I read this one 12 times during fifth and sixth grade. There are only a handful of books I've read more than once, and this one still holds my record for the most times read. It will probably always hold that record. Like I said, I love Orwell. I've read this one countless times, and it's another Top 5 all-time favorite for me. Another Top 5 favorite. I cried like a baby at the end of Monsters of Men. I know I have many readers but few commenters. If you've never commented on this blog before, today is the day! 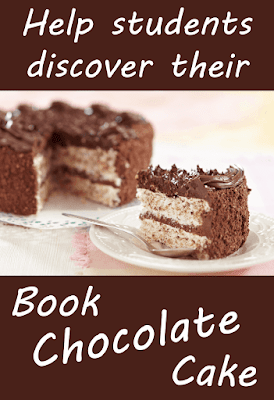 I would LOVE to hear about all the different kinds of Book Chocolate Cake! What books inspired you to become a lifelong reader? What books inspire your students? Loved this entry. I did a "book tasting" for 7th and 8th grade orientation this year (similar to book speed dating) so that they would be able to "sample" the new books. This would have fed into the theme. I can see using it later in the year. Thank you. My Antonia. It all started with Willa Cather. Nancy Drew and Little Women for when I was younger, recently Strange the Dreamer by Laini Taylor! Louise Erdrich's The Last Report On The Miracles At Little No Horse. She is my favorite author and I love to listen to her books on long car drives. A ballerina picture book when I was rather little, then I discovered Nancy Drew, The Little Princess, and Little Women in grade school... I don't know if I can actually peg one book!!! LOVE the chocolate cake comparison, I'm going to use it with my middle schoolers. Mine is definitely Harry Potter! Love the series! When I was younger I would say "The trouble with Jenny's ear," now as an adult, I almost exclusively read YA or elementary school books, which I love. Too many to list, but a few "Everything, Everything," "One day," Among the hidden series by Haddix, Inkspell series by Funke, books by Ibbotson. Bridge to Terabithia by Katherine Paterson! Trixie Belden, Anne of Green Gables. My students, Harry Potter, Throne of glass, and more recently Summoner series by Taran Matharu. My childhood chocolate cake was From the Mixed-up Files and The Cat Ate My Gym Suit and scarily enough Cujo and the Edward X Delaney novels of Lawrence Sanders (started these st 12 when really bored at my aunt & uncle's house) read everything he wrote and all Konigsburg and a lot of King! Faves now is Les Miserables and Maia try to read every year. The Naughtiest Girl in the School, and then the whole series, by Enid Blyton. Some vicarious naughty experiences I do believe! Also loved and still love Roald Dahl. The Lion, the Witch and the Wardrobe! Walk Two Moons! Tuck Everlasting! Fly girl! The Mists of Avalon by Marion Zimmer Bradley was my very first chocolate cake. It really turned me on to reading as a high school student and I've never looked back since. When I became a teacher there were quite a few books I would read aloud in my classroom. One of mine and my student's favorite was Mrs. Piggle Wiggle. That was the first chocolate cake for many of my students. Lovely post! and a timely reminder to help them all find the cake! What fun! Nancy Drew books, mentioned by others, were my first BCC, then Something Wicked This Way Comes in HS, and finally my Sr. yr in HS I discovered Tolkien. Now I re-read him every year, usually in the fall, which is when Bilbo's & Frodo's adventures begin! Caddie Woodlawn, which I just looked up and was the 1936 Newbery winner, although I read her 20+ years later! I think I read that book around the time I found biographies and had read Amelia Earhart, (do you remember the terra cotta colored biographies?). These were followed by every Nancy Drew book I could find--bought them for 25 cents at a dept. store downtown in the late 50s. You're bringing back memories. Thanks! I read a lot of the BSC and Nancy Drew Mysteries when I was in grade school but I think my first real Chocolate Cake Book might have been The Dragonriders of Pern Trilogy book in 7th grade. A girl I befriended on the bus was always reading and I asked her if I could read one of her books and it was that one and it changed my world. Okay, maybe Bridge to Terabithia might have been a grandma's chocolate chip cookie book that came along in grade school though. Wow, so fun to think about this concept. Thanks for the idea and I'm sure going to be using this with my own library classes!